Lyda Ann McBride was born circa 1890 at Pennsylvania. She married Glenn Duvall Harn, son of John Larkin Harn and Margaret Elizabeth (Maggie) Duvall, circa 1911. Her married name was Harn. SOURCE: Mildred Harn letter March 1995, from Jeffrey J. Lipscomb. Census April 1930 Akron, Summit Co., Ohio, listed as 39 years old and born in Pennsylvania, and 21 when first married. Margaret Ann Harn was born circa 1913 at Ohio. She was the daughter of Glenn Duvall Harn and Lyda Ann McBride. Josephine Harn was born circa 1926 at Ohio. She was the daughter of Glenn Duvall Harn and Lyda Ann McBride. Ann Harn was the daughter of Glenn Duvall Harn and Lyda Ann McBride. [S1069] Letter from Jeffrey Jon Lipscomb (unknown author address) to Mildred (Toland) Harn, Mar 1995; Steven Harn Redman (2633 N. 1600 E., Layton, Davis Co., UT). Marjorie Irene Jones was born on 7 April 1917 at Akron, Summit Co., Ohio.1 She was the daughter of Fred Saxton Jones and Hazel Gertrude Harn. Marjorie Irene Jones married Willis Leonard Lipscomb, son of George R. Lipscomb and Carrie Elbon, on 15 August 1936 at Westfield, Chautauqua Co., New York.1 Marjorie Irene Jones died on 31 August 1997 at San Diego Co., California, at age 80. She was buried at Greenwood Memorial Park, San Diego, San Diego Co., California. Her married name was Lipscomb. Her Social Security Number was 562-39-0236 in 1976 at California. She lived in 1997 at San Diego, San Diego Co., California. Betty Jones was the daughter of Fred Saxton Jones and Hazel Gertrude Harn. Betty Jones married Eugene J. Miller. Her married name was Miller. SOURCE: Mildred Harn letter March 1995, from Jeffrey J. Lipscomb. Betty and Eugene have two sons. Helen Jones was the daughter of Fred Saxton Jones and Hazel Gertrude Harn. Helen Jones married Paul Tschantz. Her married name was Tschantz. SOURCE: Mildred Harn letter March 1995, from Jeffrey J. Lipscomb. Helen and Paul have a daughter and a son. Willis Leonard Lipscomb was born on 20 February 1911 at Parsons, Tucker Co., West Virginia.1 He was the son of George R. Lipscomb and Carrie Elbon. Willis Leonard Lipscomb married Marjorie Irene Jones, daughter of Fred Saxton Jones and Hazel Gertrude Harn, on 15 August 1936 at Westfield, Chautauqua Co., New York.1 Willis Leonard Lipscomb died on 29 October 1986 at San Diego Co., California, at age 75. He was buried at Greenwood Memorial Park, San Diego, San Diego Co., California. He lived in 1986 at San Diego, San Diego Co., California. His Social Security Number was 280-10-0268, issued in Ohio before 1951. Last residence had been San Diego, CA. Her married name was Lipscomb. Fred Saxton Lipscomb married Peggy Smith. Fred Saxton Lipscomb is the son of Willis Leonard Lipscomb and Marjorie Irene Jones. Jeffrey Jon Lipscomb is the son of Willis Leonard Lipscomb and Marjorie Irene Jones. Hazel Ann Lipscomb married Dr. John David Hill. Hazel Ann Lipscomb is the daughter of Willis Leonard Lipscomb and Marjorie Irene Jones. Peggy Smith married Fred Saxton Lipscomb, son of Willis Leonard Lipscomb and Marjorie Irene Jones. Dr. John David Hill married Hazel Ann Lipscomb, daughter of Willis Leonard Lipscomb and Marjorie Irene Jones. Charles Braden was born on 4 February 1888 at Pennsylvania.1 He married Freda Twyford, daughter of Joseph A. Twyford and Peninah Harn. Charles Braden died in April 1980 at Rices Landing, Greene Co., Pennsylvania, at age 92. Gerald Willard Harn was born on 9 May 1932 at Brownsville, Fayette Co., Pennsylvania; Birth date from Social Security Death Index. He was the son of Paul Duff Harn and Mildred Virginia Bauch. Gerald Willard Harn married Ora Mae King circa 1958.1 Gerald Willard Harn died on 1 February 2001 at Marana, Pima Co., Arizona, at age 68; Death date from Social Security Death Index. He was buried at Marana Mortuary and Cemetery, Marana, Pima Co., Arizona. SOURCE: Mildred Harn letter March 1995. He lived in July 1966 at Tucson, Pima Co., Arizona.2 His Social Security Number was 183-24-1272 issued in Pennsylvania, lists born 09 May 1932, died 01 Feb 2001, last residence being in Pima County Arizona. Her married name was Benedetti. Her married name was Bienia. She lived in 1990 at Bentleyville, Washington Co., Pennsylvania.1 She lived in 1994 at Wilkes-Barre, Luzerne Co., Pennsylvania.1 SOURCE: Mildred Harn letter March 1995. Her Social Security Number was 190-24-3027 issued in Pennsylvania. Social Security Death Index lists birth as 27 Oct 1930 and death in 11 Feb 2002, last residence of Wilkes-Barre, Pennsylvania. Betty Harn Bienia, 71, of Wilkes-Barre, formerly of Bentleyville, died Monday, February 11, 2002, in Dorrance Manor, Wilkes-Barre, following a lengthy illness. She was born October 27, 1930, a daughter of Paul and Mildred Harn. Mrs. Bienia was a resident of Bentleyville until 1994 before moving to Wilkes-Barre. She was a homemaker and a member of New Eagle Kingdom Hall in Kingston. Her second husband, Ted Bienia, is deceased. Surviving are two daughters, Frances Straw and Sharon Kozak; a son, Kenneth Benedetti; and four grandchildren, Amanda, Katrina and Walter straw and Brian Benedetti. Deceased are a son, James Benedetti; a sister, Louise Kotchman; and two brothers, Gerald and Eugene Harn. There will be no public viewing. A memorial service will be held at 7 p.m. Saturday, February 16, in New Eagle Kingdom Hall, Kingston. Memorials may be made to a charity of one's choice. Children of Myrtle Marie Harn and Olan Ray Keener Jr. Her married name was Switzer. Frances & Ronald's children: Pamela, Ronald, Janet, Cynthia. Her Social Security Number was 223-92-7178 issued in Virginia. Social Security Death Index lists Frances Sweitzer as born on 23 Aug 1934 and died Dec 1986, last residence being Hampton, Hampton City, Virginia. in December 1986. [S1686] William Arnold Harn, Observer-Reporter Newspaper, Washington, Pennsylvania, 14 Sep 2002. Hereinafter cited as Observer-Reporter Newspaper. 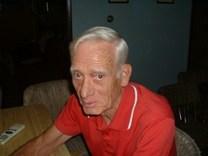 Joseph A. Harn, 76 of Ellwood City, died, Tuesday, March 20, 2012 in Ellwood City Hospital. He was born February 27, 1936 in Jefferson, a son of the late Harry and Florence Jenkins Harn. Mr. Harn served in the United States Air Force during the Korean War. He worked as a steelworker at the former Babcock & Wilcox Steel Plant. On December 27, 1968 he married Genevieve "Darlene" Rhodes Harn, who survives. Also surviving are a daughter, Jolene E. Doperalski and her husband Bradley of Kewaunee, WI; two grandchildren, Bradley Doperalski Jr. and Kira Jo Doperalski; three sisters, Marie Keener of Washington, Ruby Sweitzer of Jefferson and Glenna Covino of Phoenix, AZ. Deceased are a sister, Frances Sweitzer and two brothers, William Harn and Leslie Wayne Harn.